making a comeback to México with López Obrador? The upcoming presidential election has a real potential to reverse or slowdown the accomplishments of the energy reform if the current frontrunner and a harsh critic of the oil opening, Andrés Manuel López Obrador (AMLO), gets elected. AMLO’s ideology, as well as the leadership of his party’s, is very much set against the opening of the Mexican oil sector. Following the 2014 oil price collapse, Latin America has been experiencing a new wave of liberalization in the oil and gas sector. The continent is once again open for business. During the last year, Latin America has had more oil bidding rounds and more areas auctioned than ever before, with virtually every oil producer in the region trying to attract foreign investors. As opposed to the liberalization wave of 1990s, this time Mexico joined the movement. In fact, it led the way, opening widely to foreign investment thanks to a transformational and successful energy reform. Unfortunately, the upcoming presidential election has a real potential to reverse or slowdown the accomplishments of the energy reform if the current frontrunner and a harsh critic of the oil opening, Andrés Manuel López Obrador (AMLO), gets elected. And while AMLO would be limited in his anti-reform drive by institutional, economic and oil sector factors; his election to presidential office might spell another period of misguided nationalism that could impede Mexico’s ability to fully extract the benefits of its geology. The specter of resource nationalism has never left Latin America. The region has seen repeated cycles of oil liberalization followed by waves of resource nationalism, which have limited the development of its immense geological potential. After an era of privatization and liberalization in the 1990s, in 2004-2012, a nationalist upsurge, amplified by the oil price boom, swept the region. Argentina, Bolivia, Ecuador, and Venezuela expropriated the hydrocarbons industry, Brazil partially retrenched from its oil opening, and Mexico remained largely closed to foreign investment. As a result, Latin America’s production declined despite the oil price boom, while in the U.S. and Canada production increased by more than 60% in what has been touted as an energy revolution. Mexico has been unique among Latin American countries in that it was the only country not to open to foreign investment in the 1990s. It simply did not need to. Even with little investment, production kept going up, mostly thanks to the country’s giant Cantarell field. And when this production began to collapse in 2004, the oil price boomed, making the inevitable turnaround less urgent. But by 2012, when President Peña Nieto came to power, it was clear that without a major reform of the oil sector, production and reserves were not going to recover. As a result, the government embarked on an ambitious reform that included opening the upstream of the oil sector to private investment. A new, robust institutional framework was not only legislated, but also enshrined in the constitution, making any potential reversal very difficult. The resulting opening of the upstream has been almost universally considered a resounding success, with billions of dollars in committed investment and auctions that yielded a high government-take over future profits. There was opposition to the energy reform from the left. From the outset, AMLO was one of its strongest opponents. In particular, he fiercely opposed allowing private investors to operate in the upstream. He advocated, though unsuccessfully, putting the reform for approval in a popular referendum and later proposed a referendum to reverse the reform. Most recently he has somehow moderated his views, saying that he would not reverse the constitutional reform. However, he announced that he would “review” the existing contracts and cancel those deemed corruptly allocated. AMLO would also stop the bidding rounds that have been scheduled, at least for the time being. In addition, he proposed focusing investment on the downstream, building two –likely unprofitable- new refineries, and reducing the dependency on imports of refined products and natural gas from the U.S. He has also advocated for reestablishing subsidies to transport fuels. Finally, he has proposed an aggressive increase in local content in upstream investments. But even those more “moderate” views constitute one of the most resource nationalist campaign platforms by a leading presidential candidate in recent times anywhere in Latin America, since perhaps Evo Morales, who openly asked for nationalization of hydrocarbons in Bolivia, more than a decade ago. In fact, with the exception of Morales, Latin America’s resource nationalists were generally more “cautious” during their initial presidential bids. For example, Chávez, who became the most radical expropriator, said in his 1998 campaign that he would absolutely respect all existing contracts. And in fact he did so for the first six years in power, until all the oil opening projects had been completed and the oil price boomed. Thus, the evidence shows that AMLO’s ideology, as well as the leadership of his party’s, is very much set against the opening of the Mexican oil sector. However, history shows that the actual enactment of resource nationalist policies does not depend only on ideology. Other factors are as important, if not more, and can potentially deter policy reversal. These factors include: 1) the institutional framework; 2) the economic and structural conditions; and 3) the characteristics and situation of the oil sector. Below, I consider each of them in more detail and how they apply to AMLO’s potential impact on Mexican energy reform. First, the institutional framework of Mexico, offers a strong deterrent against the reform’s reversal with multiple checks and balances embedded in the system. As such, constitutional change would require large majorities in Congress and the state legislatures. Additionally, AMLO will have to face the regulatory agencies governing the oil sector, which are quite autonomous and currently supportive of the reform. International arbitration in case of contract reneging would also be a deterrent. Finally, oil auctions successfully procured high levels of government-take under a highly progressive fiscal framework, which limits the incentives for ex-post renegotiation of those terms. Of course, the South American experience shows that, under some conditions, these institutional limits can be overrun. At times, highly popular presidents in Bolivia, Ecuador, and Venezuela, were able to change laws and even the constitution. They achieved this by avoiding the commonly established rules, instead turning to referenda, or convoking constitutional assemblies. In addition, the Mexican Executive still has significant powers to stall the reform, even if it does not formally reverse it. In fact, if the Executive wants to forcefully renegotiate contracts, it has an array of tools to force the foreign companies to the negotiating table, or else face the consequences. New taxes and tax audits, environmental and land permits, local content rules, and other tools have been widely used to opportunistically force contract renegotiations in other countries including, Venezuela, Bolivia, and Ecuador. Even in progressive tax regimes, if the government-take does not flow soon enough, politicians with short-term horizons sometimes are tempted to renege. If AMLO wins by a very large margin and builds working majorities in Congress, he might feel emboldened and with mandate to advance a more radical agenda. 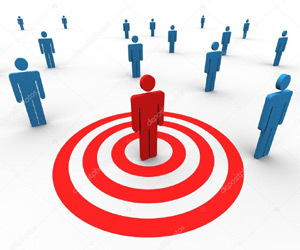 Thus, even though the institutional framework does offer some significant deterrents, they might not be enough, if the president is very popular, the energy reform is unpopular, and other conditions are ripe. Second, the economic conditions make Mexico less fertile ground for resource nationalism. Mexico has a much more diversified economy than those of other South American countries, and it is much more integrated into the global economy in terms of trade and financial flows. Thus, resource nationalism has to be treated with caution by any president as it might trigger significant capital outflows and a decline in foreign direct investment in other sectors, significantly outweighing its short-term political benefits. Admittedly, a failed NAFTA renegotiation could somehow change this reality and the policies and rhetoric of the Trump Administration in the U.S. could reinforce the surge in Mexican resource nationalism. However, the potential economic costs of reform reversal would still be much higher than in the other, more resource-dependent countries in South America. In addition, the tight fiscal situation of the Mexican government and the high debt of the national oil company, Pemex, in the context of increasing international interest rates, provide limited room for populist measures. Also conditions specific to the oil sector would make resource nationalism very costly. Production keeps declining and it is likely to continue to decline or stagnate for the next few years, particularly if the reform is stalled. Reserves are at its lowest point in decades, requiring massive investments in exploration. The already signed upstream contracts would provide significant investments but only if the regulatory and business environment keeps being investor friendly. Many of these investments would bear their fiscal fruits at the very end of AMLO’s term, or even after it ends, but the alternative of no private investment would be surely much worse, demanding very significant and risky investments that ailing Pemex would be unable to fund and execute. Typically, governments have incentives for opportunistic reneging after very large discoveries happen or, even more so, after large sunken investments -successfully adding reserves and production- have been deployed. So far, that has not been the case in Mexico. 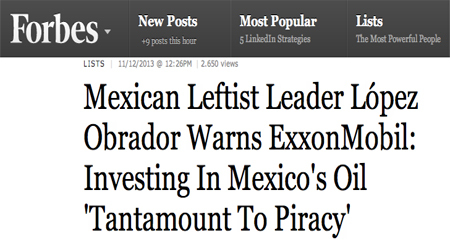 In addition, the critical financial situation of Pemex, does not offer an alternative path. A leading factor that promotes resource nationalism in oil producers is a boom in crude prices. Most expropriations have occurred during high price cycles. In the next six years, a price surge cannot be discarded, and it could embolden AMLO, but the fact that Mexico is currently a net importer of hydrocarbons, means that it would be negatively impacted by a price surge, even more so if AMLO subsidizes the domestic market. As a result, resource nationalism becomes much less attractive compared to when the country was a large net hydrocarbon exporter. Economic and sectoral conditions would seem to indicate that it would be in AMLO’s best interest to be moderate and pragmatic. South American history shows that moderation and pragmatism can be beneficial to political survival of an initially radical presidential candidate. For example, Peru’s President Humala, who had threatened to significantly increase taxes on mining companies, ended up doing only cosmetic changes and having a very orthodox economic policy. This was partly the result of the need to form a coalition necessary to win the second-round election and getting a working majority in congress. And while President Lula in Brazil was less orthodox in his approach -he changed the future oil contracts, limited the auctions of new oil blocks, increased local content, and weakened the autonomy of Petrobras– he did not expropriate, or forcefully renegotiate existing contracts. Still, Lula’s actions slowed the pace of oil and gas development in Brazil and had to be reversed by the Temer administration to attract new investments. Lastly, even the populist Cristina Kirchner in Argentina showed some degree of pragmatism. After nationalizing YPF in 2012, she quickly moved to partner with Chevron and other companies to develop their massive unconventional resources. What type of President would AMLO turn out to be if he is elected? As radical and destructive as Chávez? Populist but realist like Krichner? A somewhat pragmatic as Lula? Or an orthodox like Humala? The answer is neither clear nor easy to establish. While Mexico’s economic and sectoral conditions point towards pragmatism, personal factors and party ideology point the other way. In the end, the most likely scenario is a blend, like in the cases of Kirchner and Lula. Thus, if AMLO gets elected as Mexican president, we can expect some damage to be done to the development of the oil industry. However following potential costly policy mistakes, a degree of pragmatism should prevail. Contracts would probably not be cancelled, but the reform will stall and there will be a freeze in bidding rounds. Domestic energy prices will be regulated but – given the economic situation of the country- subsidies will have to be limited. As AMLO’s presidency looms large on Mexico’s political horizon, it is sad to see that a misguided version of resource nationalism could once again limit the massive geological potential of Latin America. While the U.S. will continue experiencing an energy boom, in Mexico and Latin America, above ground risks might continue to limit wealth creation. Francisco J. Monaldi is Fellow in Latin America Energy Policy at Rice University's Baker Institute for Public Policy in Houston, Nonresident Fellow at Columbia University's Center on Global Energy Policy in New York, and the Founding Director of the Center on Energy and the Environment at IESA in Caracas. Petroleumworld does not necessarily share these views. Editor's Note: This commentary was originally published by Forbes 06 /06/2018. Petroleumworld reprint this article in the interest of our readers and does not necessarily reflect the opinion of Petroleumworld and its owners. Copyright© 1999-2018 Petroleumworld or respective author or news agency.